Ridiculously overpaid, badly behaved and even above the law. 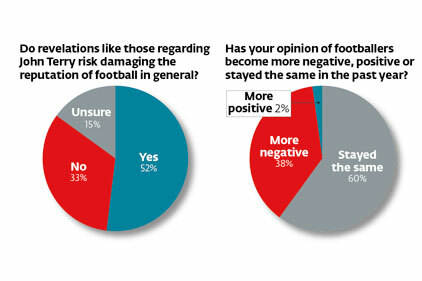 This is what the public thinks about footballers, PRWeek's Reputation Survey finds this week. The ongoing scandal surrounding footballer John Terry has not just affected his position as England captain, PRWeek's exclusive research has found. He is now the footballer of whom the public has the lowest opinion, with even Ashley Cole, Steven Gerrard and new England captain Rio Ferdinand all rated more positively than Terry. 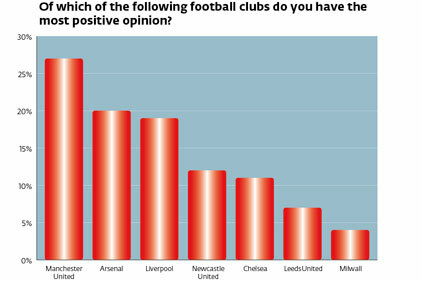 Terry's recent behaviour has also affected the public perception of his club Chelsea, as our graph, right, shows. David Beckham is the footballer enjoying the highest public favour. While the vast majority of the public feels footballers do not deserve their inflated salaries, there is only limited support for making footballers sign contracts governing their behaviour off the pitch. Fifty-seven per cent of respondents say footballers should not be considered role models anyway. 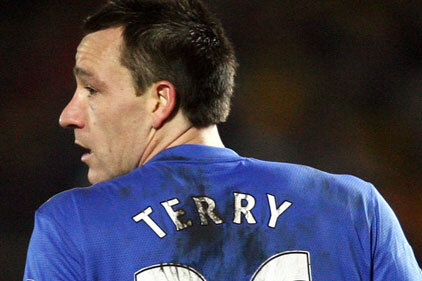 As far as Terry is concerned, the way forward lies in performance on the pitch, Martin believes. This is backed up by the fact nearly 40 per cent of respondents agree footballers are paid to be good at their jobs, rather than conducting their private lives appropriately. It is striking how consistently these results support the ongoing argument that footballers need independent, qualified representation from a management and PR perspective. Sixty-two per cent agree that a player's off-pitch behaviour affects opinion of them and 74 per cent agree it should be more considered and managed. What is interesting, though, is that only 40 per cent think clubs should contractually regulate a player's personal life. Braben provides strategic PR for several high profile figures across media and sport. We expect to see an increasing trend for individual PR in football. PR is key to helping define a player's brand, with a view to shaping a coherent commercial offering, but also to position them for a future post-football. This survey helps support the need for this kind of professional support. It's not surprising 54 per cent of respondents have the most positive opinion of David Beckham, arguably the most carefully managed footballer in history. 62% say a footballer's personal life shapes public opinion of them.